Welcome to Yeshivocation Boquete 5778! It is a great pleasure for us to welcome you to this amazing program, rich in learning, life experience and nature. 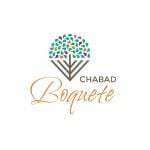 YeshiVocation Boquete 5778 will start Monday June 25th (12th of Tammuz) and ends Monday July 30th (18th of Av). The cost of the program is USD $3,000 and includes boarding, food, trips and activities. Early bird inscriptions and scholarships are available on a case to case basis. Flight tickets are NOT included. Your child must land in Enrique Malek International Airport in the city of David, Chiriqui, Panama (airport code DAV) on Monday June 25th in the evening flight. A bus will be waiting at the airport ready to depart to our Camp at 7:00 p.m.
Return flights must be scheduled for the morning flight of Tuesday July 31st, 9:30 a.m. A bus will take all campers to catch their flight. When booking your flights, we recommend to buy separately the ticket to Panama City and then the internal flight from Panama City to David. Ticket prices will vary extremely if purchased all together. You can check our Promo video based on our Panamanian Program of last year, by clicking here.